The ISM offers its students a comprehensive international education. Bachelor’s students must combine their business studies with English and either French or Spanish or Italian. For international students German is mandatory. Students complete one or two semesters of study abroad in a European or overseas country. Depending on their specialization, ISM students choose an institution from the ISM’s more than 180 partner universities. The semester abroad is designed to further develop and expand their intercultural and language competencies, and enhance and deepen their professional knowledge in an international context. In addition to their study abroad semester, they also complete at least ten weeks of their 20-week internship period at a company outside Germany. All bachelor`s programs include lectures held in English and German except for B.Sc. International Management English Trail which is entirely taught in English. The master’s programs also include a study abroad semester. Students spend the third semester of their program overseas at one of the ISM partner universities specializing in their field of study. Moreover, all programs include lectures held in English, M.Sc. International Management, M.Sc. Finance, M.Sc. International Logistics & Supply Chain Management and M.A. International Business are entirely taught in English. Additionally, all programs also offer students the opportunity to complete an international double degree. Like the bachelor’s and the master’s programs, the ISM’s part-time programs have an international focus as well. All programs include modules abroad. In addition, the MBA General Management program is taught entirely in English. All ISM programs are rigorously geared to the needs of the real business world. This goal is fostered by the hands-on experience of ISM lecturers, many of whom have held or currently hold management positions in the business world. Furthermore, comprehensive internship phases, as well as a practically-oriented thesis form the foundation of ISM programs. Influential corporate representatives serving on the Board of Trustees help to shape the ISM’s educational concept. They give students the opportunity to do internships and consulting projects for class credits at their companies. By taking advantage of these opportunities, ISM students gain extensive experience in solving practical problems in daily professional life. In addition, ISM students have direct contact to company representatives by participating in company presentations, career fairs, and case studies. Students can discuss their career opportunities with these representatives in a personal atmosphere. The growing number of ISM alumni also enriches the ISM network. In contrast to the typical anonymity of large lecture halls in many universities, the ISM offers students a personal atmosphere thanks to small class sizes, an interactive learning environment and a large number of leisure activities. The small class size allows instructors to give students individual attention and forms the groundwork for an interactive classroom environment. At the same time, collegiality among students is highly encouraged. This is underlined by the many case studies and consulting team projects. The objective of group and project work is to learn how to build and organize teams in order to achieve a positive result. Extracurricular activities such as student working groups and parties help students to expand their professional network. Additionally, students have a digital communication platform in the form of the ISM Intranet. This is an online forum for students to discuss lectures, to report from their semester abroad, and to access or post internship offers. Finally, students spend part of their free time in student societies which are offered independently of the standard curriculum. The first three semesters of all ISM bachelor’s programs provide students with the fundamentals of business management. Depending on their chosen study program, this core education is supplemented by lectures in communications, tourism, psychology, fashion management or finance. In addition to the fundamental management courses, students also take two program-specific courses in each of the first three semesters. In the fifth and sixth semesters, bachelor’s students take two program-specific modules and two elective ones. In addition to these academic skills, soft skills and foreign languages are also trained. The compulsory course in Business Ethics is further complimented by social competence training including teambuilding or intercultural management, allowing students to develop the cultural sensitivity necessary for the responsible and fair leadership of international teams. The master’s programs are designed to provide students with extensive professional knowledge in a short period of time. The first semester is comprised of twelve to 13 obligatory lectures. The second semester, also known as the specialization semester, consists of compulsory modules and a selection of elective modules from which students can choose in order to meet the demands of their specialization. In addition to gaining professional knowledge, students also practice soft skills such as communication and negotiation techniques. Case studies and hands-on projects guarantee that students have the chance to apply their theoretical knowledge to practical use at a very early stage, as well fostering cooperation and teamwork. ISM students acquire professional skills, gain practical experience, and have the chance to be immersed in other cultures - all within a short period of time. This diverse and exciting educational experience is made possible by a well-structured program of study. While students at other universities are enjoying their semester breaks, ISM students are gaining real-life professional experience. 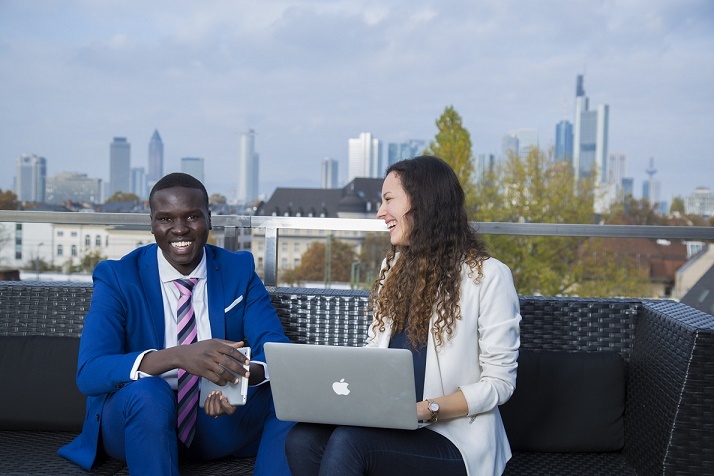 In their search for future managers, companies are looking for graduates who have successfully completed their studies in a short period of time, while gaining hands-on experience and intercultural skills at international universities and companies. Undergraduates at the ISM acquire these skills in six or seven semesters. They then have the option to complete a master’s degree within three additional semesters, plus the time spent writing the master’s thesis. A well-structured program makes this efficient course of study possible. Both the bachelor’s and master’s programs have a set timeframe for the required internships or practical phases. Similarly, the ISM’s part-time programs are based on a tightly-structured concept as well.